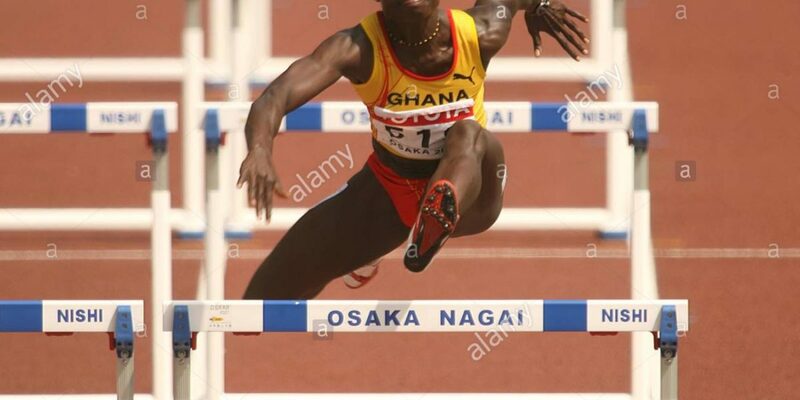 She’s indeed Ghana’s best Heptathlete (A heptathlon is a track and field combined events contest made up of seven events). She has competed for Ghana for twenty years. Started competing for Ghana in 1998 as a Junior Athlete. She won 6 GOLD Medals and two bronze for Ghana. Simpson, twice voted SWAG’s female athlete of the year in 2003 and 2004,as well as the Sports Personality of the Year in 2003. The lowest point in her career perhaps, was when she suffered a Kidney infection on the even of the 2012 London Olympic Games ruling her out of the competition. She was based in Mauritius where she found access to sophisticated facilities to train. Nonetheless, she still continued to compete for Ghana. 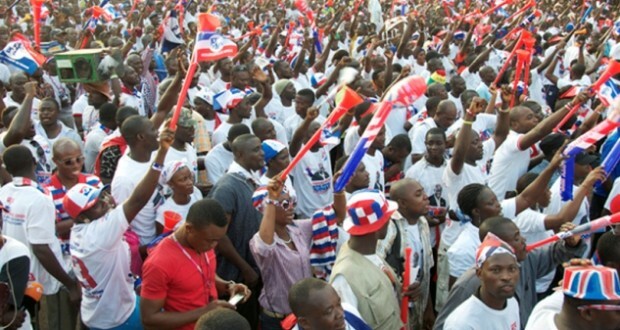 She was persuaded by the then Deputy Sports Minister Joseph Yammin to rescind her decision. She has constantly complained about the neglect by authorities. 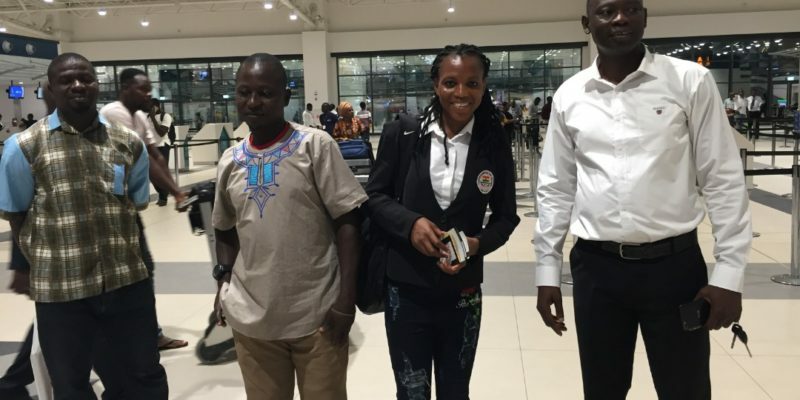 She was promised $5,000 by the Sports Ministry for winning gold medal at the African Championships in Benin in 2012, but according to her, the money has since not been paid. My checks at the Sports Ministry indicate that, there are no such records of owing her. Ministry official who spoke to me on condition of anonymity however says they’ll follow up. Margaret, at the height of her career, put up a 5-bedroom house in Ejisu near Kumasi, where she stays with her husband and three kids. 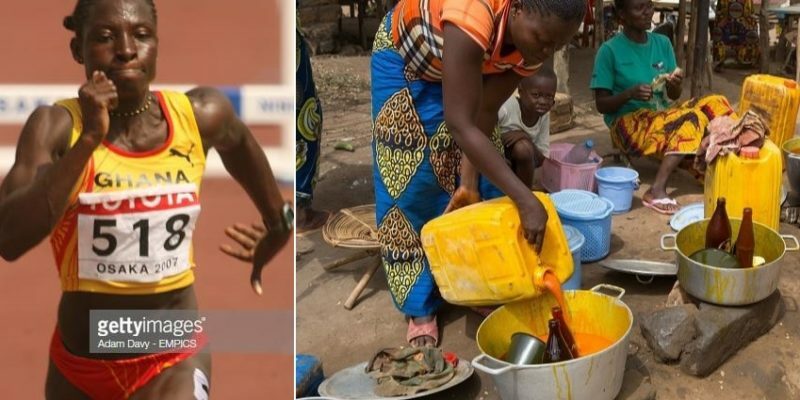 On selling oil to make a living, sources close to the athlete tells me she doesn’t NOT sell palm oil, but a retailer of sunflower oil imported by one of her friends in Europe. The photos circulating on the internet of her selling oil is actually FAKE. The University of Cape Coast has offered Simpson a full scholarship to pursue a Diploma in Education and Sports Psychology. UCC’s sports Department paid for everything, including her admission forms. She has been a student for sometime now, and competes for the school’s sports team. At the age of 36, she broke the school’s 22-year-old record in Javelin and has qualified UCC for the upcoming West Africa University Games to be held Port Harcourt, Nigeria. She will travel with the team on 2nd November to compete. The University of Cape Coast has also promised to put her under full scholarship to pursue her degree in the University once she completes her Diploma. I am reliably informed that the University of Cape Coast plans to employ her in the School’s Sports Department as a coach after her education. Nonetheless, UCC’s Sports coach Marfo Mickson Somuah feels the nation has neglected Margaret Simpson, insisting that with her talent, she would have been better off had she naturalized for any other Western nation.